There are countless coaching tools available. Two are fundamental; listening and questioning. The ability to actively listen at a deeper level than just the words spoken paired with the ability to ask the right questions creates powerful insights and awareness within the client. Basic but essential executive coaching skills. But us coaches can over focus on our questioning and listening skills at the expense of a third equally important tool: the language we use in our sessions. All three tools are intrinsically linked. 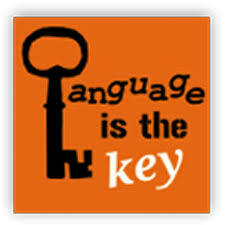 Without language the other skills would not exist! Whether we use it carefully or carelessly our language has power. Our words have power. Language can change perceptions and transform lives in both good and bad ways and on a national and even global level words can even change the course of history. Look at some of the great orators of the 20 Century. Or recent controversial political campaigns. As coaches we must monitor our own language as much the executives we coach. Easier said than done, probably impossible, when in listening mode. A consistently productive CPD activity I do is to record the occasional coaching session (with the client’s permission of course) and listen back to myself (not to the client unless I want to gauge how my words land). I am listening out for verbal ‘tics’. Do I use superfluous ‘umms’ and ‘ahhs’ and ‘you knows’? Do I use certain words and phrases habitually and unconsciously? Am I revealing unconscious bias? Am I using language to provoke the client to take a certain action I think they should take rather than create awareness? Is my language direct and clear? Could I have asked the same question in fewer words? The longer a question or sentence the less impact it can have. Compare “when?” with “when might you be able to do that?”. The former allows for no ambivalence no vagueness, a one word question needing a direct answer. The latter subtly invites the client to insert qualifiers, to add an “if” or a “but” creating a get out clause for later. The aim should be neutral language (this is the basis of the Clean Language coaching approach, to take the coach’s ‘world map’ out of the conversation which I suspect is not 100% possible in reality but is a noble aim). The simplest one word change can alter the direction of a session. 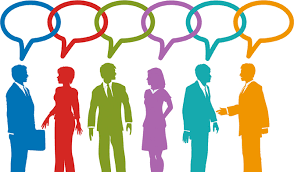 To talk about being an effective leader instead of a successful one can have the ambitious executive switch focus from, “How can I impress the boss?”, to “How can I best serve my clients or stakeholders?”. 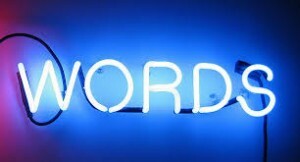 Words that are new to a client’s personal vocabulary can generate new associations new insights and new behaviours. Take the word “career”. It can be limiting because we commonly associate it only with our parents’ choice of work or just office based work. Replacing it with talk of ‘earning an income’ can open up the conversation into new areas and more radical ideas for the executive looking for a more radical change of direction. Language can bring goals closer or kick them down the path. Effective coaching should have lasting effects, leaving a highwater mark and giving the client the ability to self-coach. This should show up not just in changed behaviours but in their language too, newly aware when it’s unhelpful and counter productive. “I can’t influence the Board” suggests impossibility. “I want to influence the Board” says there is a desire to act but still places that action in the future. “I can influence the Board” both brings the conversation into the present and jumps straight to actions and behaviours within the client’s control today. Jargon; another language pitfall for coaches. Jargon distracts. It can get in the way and it can be used for the wrong reasons; maybe for a coach to bolster their credibility in the eyes of the client or sponsor company… or themselves. Take “VUCA*” (both jargon AND a terrible acronym!). I struggle to think of a potentially more alienating word yet it has moved into common usage in coaching circles. Thought to have originated from the US military in the 90’s I suspect it was intentionally coined to rhyme with a certain four letter word to be memorable to the average military mind! But the real problem with it is that it conflates four words with four subtly different meanings likely requiring four different approaches. But no, not anymore! One acronym, one response right (conveniently negating the “C” for complex in the process)? Well, no (see below). There is one exception with jargon. With Transition Coaching the newly promoted executive may be struggling with their new role. Filled with self doubt as they try to get to grips with the new job. Maintaining a confident façade while a small voice is saying, “I’m going to get found out”). Giving that feeling a name – in this case Imposter Syndrome – places it within the realm of recognised human behaviour. Naming it normalises it, and normalising it creates the belief that it can be tackled. So coaches… use language carefully, not carelessly, do not use two words when one will do, less really can be more, use it in support of our clients to learn and grow, never to tell. Uncertain: To a certain degree a situation can be anticipated and potential outcomes prepared for. Approach: Requires a constant external focus, access to timely market information and willingness to change and adapt.